Baseball the sport aptly known as America's favorite pastime is able to capture the hearts of old and young alike. If this old time baseball party from Katie isn't every little boy's dream, I'm not sure what is. 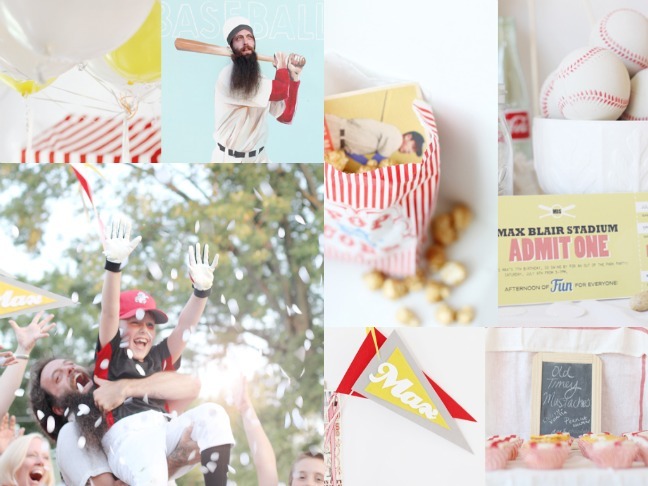 It's filled with fun elements like personalized pennants, bags of popcorn, a photobooth and of course a game of America's favorite pastime. To top it all off, there was a joyous lift and cheer for the jolly good fellow. Super sweet. See all of the incredible details on Katie's Pencil Box.